Join us at IHOP on March 7 to celebrate National Pancake Day! 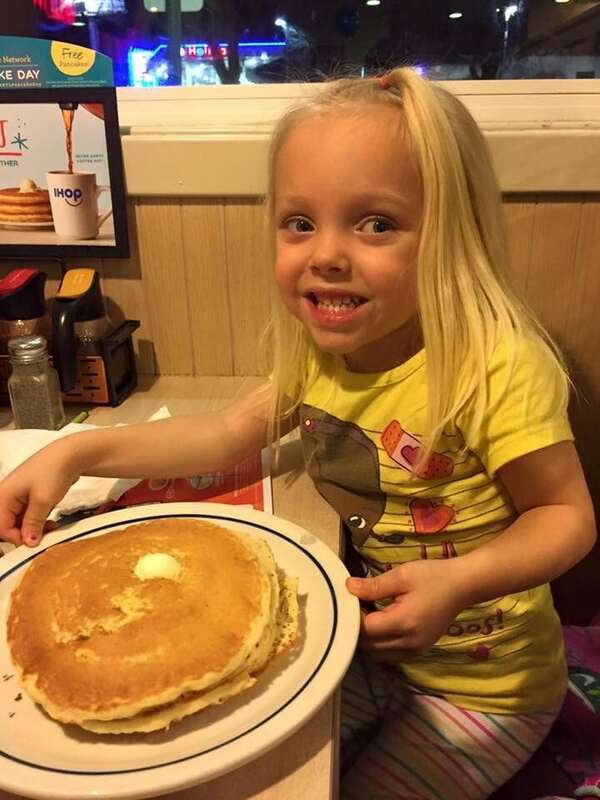 Treat yourself to delicious buttermilk pancakes and help kids treated at our hospital. Kids like Maci, who was born weighing just one pound, 6.5 ounces. IHOP has raised more than $19,000 for pediatric patients treated at our hospital since 2007. These funds have helped purchase specialized equipment and fund programs including Child Life, back to school, and direct child and family assistance for meals, mileage, and lodging. Stop in at the Sioux Falls IHOP with your friends and family between 6 a.m. and 7 p.m. on March 7 to celebrate National Pancake Day with a donation to Sanford Children’s Hospital. Purchase a Miracle Balloon at participating IHOP locations now through March 7. Donate online to Sanford Children’s Hospital. Learn more about IHOP and their partnership history with Children’s Miracle Network Hospitals. Comments for National Pancake Day at IHOP! Pingback: YOUR MARCH SHOPPING TIPS – HOME AGAIN Jiggety-Jig! Next post: Tomorrow is National Pancake Day at IHOP!